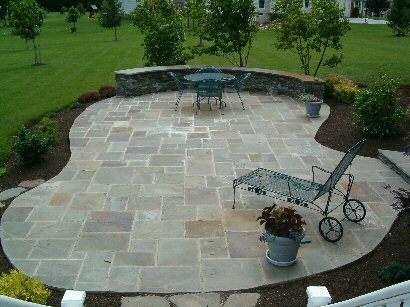 Retaining walls and patios add beauty and structure to your property. 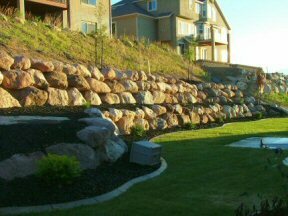 The attractive look of a retaining wall along with the structural benefits can cure that annoying wash out or drainage problem area alongside your home. 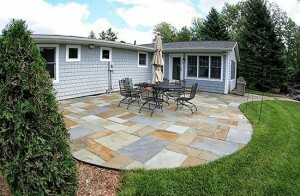 A patio can add that special backyard oasis, entertainment, lounging or grilling area you’ve never had before. 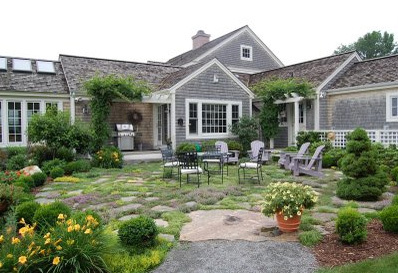 Contact us today to for a site survey and a discussion of your landscape dreams. 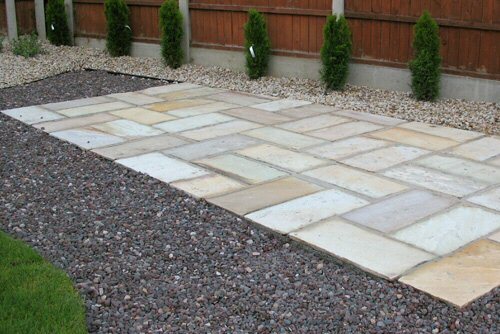 A retaining wall or medium-sized (or larger) patio area are not things simply installed; rather they are designed and constructed. There are many engineering considerations (like drainage, soil types, compaction, weight, pressures and structural strength, etc.) 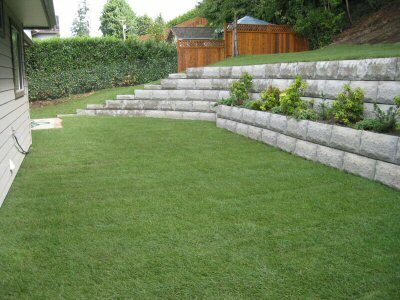 to properly design and construct retaining walls and patios. 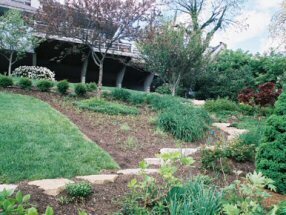 Engaging a Landscape Contractor with significant landscape structure design and landscape excavating experience is essential to the retaining walls and patios remaining level and structurally integrity for many years to come. The Landscape Contractor should own their excavating equipment and have experienced operators to efficiently execute and complete your project on time and on budget. 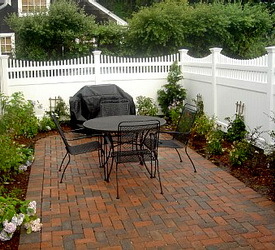 There are many material options in available in retaining wall and patio construction. We can suggest materials and designs appropriate for your specific needs and budget but without first meeting with you at your property to understand your objectives and desired outcomes the discussion is nebulous without the details. 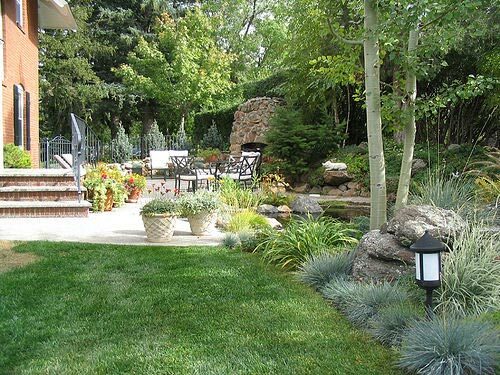 Call Dever’s Lawn and Landscape for a free-no obligation site survey and discussion at your property. Contact us today!